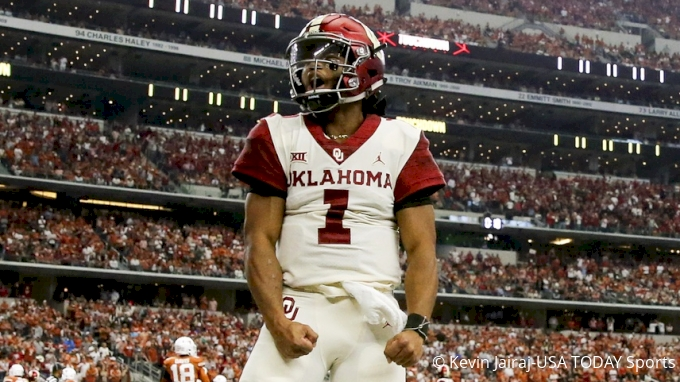 After piling up 396 total yards and five touchdowns in a Big 12 Championship game victory over Texas, Oklahoma quarterback Kyler Murray has separated himself from Alabama's Tua Tagovailoa—who picked a really bad day to have the worst game of his career. I could spend another 700-or-so words on an exhaustive—and exhausting—argument in favor of the Oakland A's first round selection, but, in the interest of time and efficiency, I won't. Tua was in for 71.4% of Alabama's offensive plays against Georgia. Tua was Alabama's QB for 48 minutes and 45 seconds of that game's 60 minutes. Tua had 5 passes in the 4th quarter against Georgia. He had 3 all season before Saturday. So, if "clock management" is the reason Ohio State runs more plays between scores, why does Ohio State run plays at a 10.5% faster pace? This dude just bodies folks on the World Wide Web. It's magical.